"In the last few years the National Gallery of Art has significantly expanded its holdings of both 19th- and 20th-century European and American photographs. 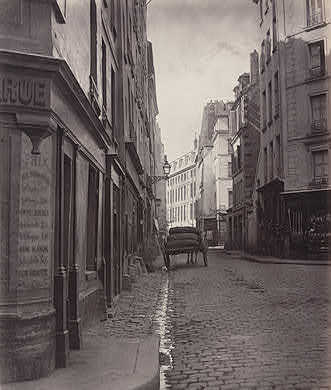 Presenting approximately 70 works by such celebrated photographers as William Henry Fox Talbot, Eugène Atget, Alfred Stieglitz, Aleksandr Rodchenko, and Brassaï, the current recent acquisitions exhibition highlights significant new acquisitions of photographs made during the first century of the medium's history, from the early 1840s to the 1940s." Could you give a photo credit for the illustration? Enjoyed this show 2 weeks ago while visiting my daughter in DC. My favorite was a personal choice: it was fascinating to see a 120 year old photograph of the huge temple in Maduai, India - where I visited this past year.